Well I have been very remiss with the blogging this week . Work has loomed large and I have had to shift my attentions unfortunately. 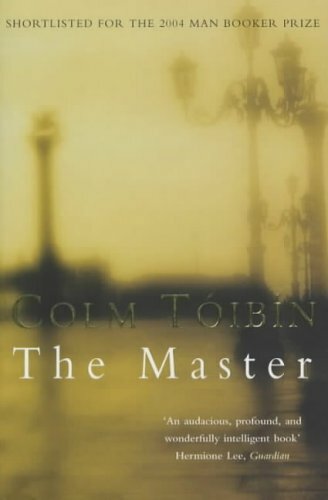 But to help me through I have been devouring a truly glorious book: "The Master" by Colm Toibin. It is a novel based on the life of Henry James. The writing is excellent. Hopefully I will finish it today and have a review up soon. To other matters, I am having a new large bookcase delivered tomorrow. This is incredibly exciting because currently I have books everywhere. My bookshelf currently houses books of every kind including cookbooks, a lot of non fiction, travel books, and lots of texts related to my work and a shelf devoted to puzzles, games and kids' books to amuse my nephew and niece when they visit. Oh yes and there are a couple of very cramped shelves devoted to fiction. And I have discovered a couple more really good second hand book shops in my area so keep bringing stuff home. Now it will all have a shelf to call home. It is a dreary winter's day here, perfect for reading and cups of tea, so I am off to enjoy. Work is probably going to impact on me this week! End of financial year and all that. I avoid the second hand bookstores because I really, really don't have the shelf space. Enjoy your tea and books. I am about to take my son to sport where it will be very cold! Henry James the Italian tour guide? Thomas Keneally "A Dutiful Daughter"
Jack London "The Call of the Wild"